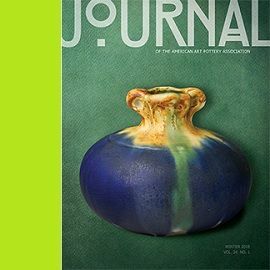 It is hard to believe that a company which existed for such a short period of time could have had such an impact on the Ohio pottery industry, but such is the legacy of the J. B. Owens Pottery Company. 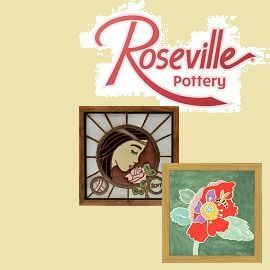 Often overshadowed by other larger companies such as Roseville Pottery or Rookwood Pottery, there are many discerning collectors who appreciate their contributions to the industry, the art, and the culture in general. John Bartle Owens II was born on a small farm near Roseville Ohio on December 21st, 1859. On January 11, 1885, the 25-year-old purchased a small shop with a kiln and wheel and began his company. His business expanded quickly, and in 1891 the Zanesville Board of Trade convinced him to move his operations there. 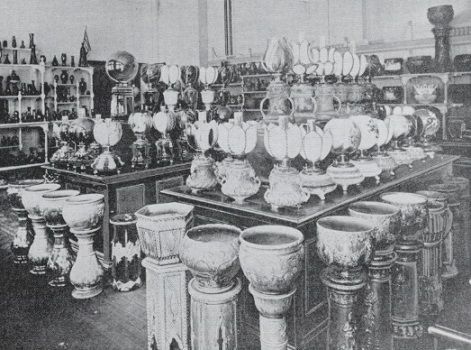 In 1896 Owens introduced their first art pottery line, called Utopian. 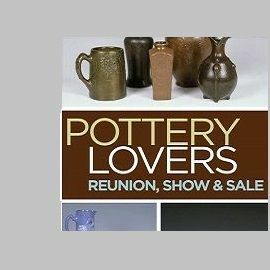 The Owens pottery Company flourished in Zanesville, competing head to head with Roseville, Rookwood, and Weller. In 1907, Owens sold his company (then called the Zanesville Tile Company) to a group of investors. The investors proved unable to make it an ongoing concern, and it went bankrupt in 1909. Owens himself though did continue to produce limited amounts of art pottery from 1905 until 1910 from his J.B.Owens Ceramic Art Studio in New York City. By 1914 J. B. Owens left the art pottery business forever and founded the Empire Floor and Wall Tile Company. In 1919 he founded the J.B. Owens Tile and China Company, which specialized in hotel china. The great depression on 1929 ended both endeavors, and Owens retired to Florida. He died there in 1934 at the age of 75. 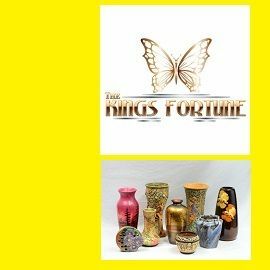 Collectors seem satisfied to collect just the art pottery, lines which were produced from 1896 through about 1910. This 14-year period is quite small for a pottery which had so much influence, and examples are still widely available. Some of the most recognized lines and their approximate dates of introduction are listed below. The Utopian line competed directly with the Rookwood Standard Glaze and the Weller Louwelsa, with artistic works on dark brownish backgrounds, and are the most commonly found works. Aqua Verdi forms were variegated light to dark green matt which were for the most part hand-modeled and highly sought. Henri Deux are often described as art nouveau, but were advertised reproductions of the 16th century originals.